Be the first to hear about their new releases and deals. Download the Booksprout app and search for Bella Night today! 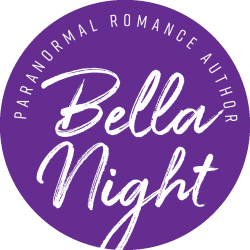 Bella Night loves spicy romance, wine & a good supernatural twist. Her new paranormal romance series, Crescent City Wolves releases Fall of 2019. Stay tuned for this 6 book series that will deliver swoon-worthy romance and action, cloaked in the mysterious world of vampires, witches and werewolves. Her writing is perfect for fans of series like The Vampire Diaries and Twilight.